The average roofing installation price for a clay tile roof costs anywhere between $25,000 to $50,000 depending on the slope, pitch, and size of your roof. You can expect to pay $10 to $18 per sq. foot or $1000 to $1800 per square installed on a standard sized single story home. Costs will vary depending on local roof contractor’s pricing. View your potential roof installation savings with local contractors below. It’s always smart to get price quotes from at least four local pre screened and licensed clay roofing installers before starting your roof replacement project in order to get the best price in your area on your clay tile roofing installation. Class-A Fire Rated – Does Not Burn. Tiles come in clay or concrete but can be shaped in many different ways even to the point of looking like wood shake. Terracotta clay is a popular choice for clay roofs because, unlike regular clay or concrete, it won’t change color with age. Concrete will fade while clay will actually get darker, but terracotta can maintain its color because it gets baked into the clay. Many ancient terracotta artifacts still retain the color they had when they were first made. While it’s most common to find clay tile roofing on Florida roofs or California roofs, it can work with almost any design scheme. Combining one of the most traditional building materials with more modern materials like glass, metal roofing, or wood roofing makes for a unique, beautiful architectural juxtaposition that will make your home design really stand out. Additionally, clay tiles will maintain their rich, warm, earth tones for 100 years. * There are some alternative to all natural clay roofing tiles such as faux clay tiles made in the form of concrete tile roofing and metal tile roofing. Degree of Roof Slope for Clay Tiles: If your roof’s slope is less than 18 degrees, clay roofing tiles may not be the ideal material for your home in regards to water runoff and weight. Clay Tile Weight: The heaviness of tile is something to think about as you approach this project. Tiles are more than twice as heavy as asphalt shingles, so unless your home has previously had a tile roof, you will need to have your home evaluated by a structural engineer. If your home needs additional structural support, this could increase the cost of the clay roofing project by thousands of dollars. Clay Roofing Underlayment: One of the great things about clay tile roofs is that they last for a long time. However, the roof underlayment beneath them isn’t quite as staunch, and it will need to be replaced every 20 years. Tiles are also somewhat fragile in spite of their durability, so make sure you only allow experienced clay roof repairmen on your house, even for the most basic projects. The good news is that when it comes to maintenance, the most you’ll need to do (unless the tiles incur damage) is lightly rinse them once per year. Clay Tile Weight Problems:Clay tiles are very heavy. 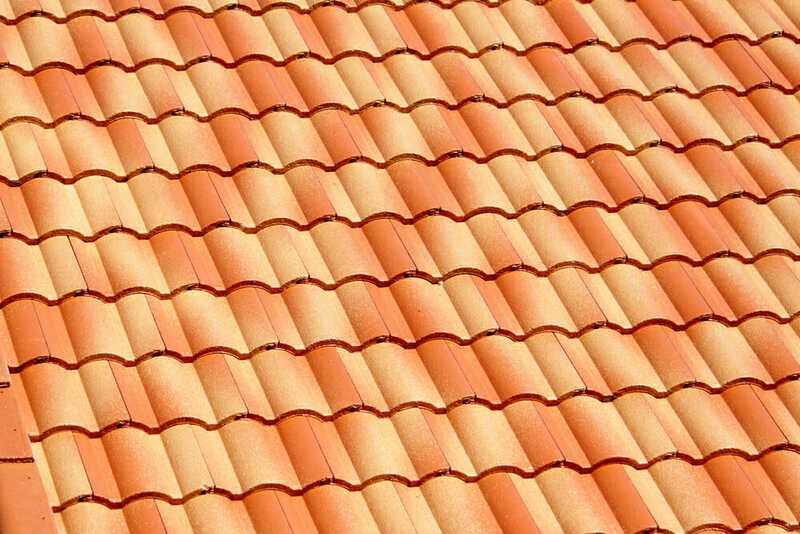 Before investing in clay tiles, make sure that you reinforce your roof so that it can support the weight. It is also important to note that clay roofing is not suitable for a DIY project. Despite its durability, clay tile roofing is very delicate and can easily break if walked upon. If properly installed, clay roofing can last decades.Clay Tile Fastens: The main problem with clay tile roofing is usually improper fastening. There are two types of fastening systems for clay tile roofing – interlocking and overlapping. Interlocking clay tiles essentially hook onto each other, while overlapping must be nailed into place as they do not have a “lip” for attachment. Make sure that you collaborate closely with your clay tile roofing contractor to ensure your fastening system is problem free from the start. Though clay tiles are very durable, be sure to inspect your roof regularly and replace roofing materials of any cracked or chipped tiles immediately. Never pressure wash your tile roof. Instead, it should be washed and buffed by hand. Consider hiring a professional clay tile roofing cleaner who is well-versed in how to move around on a clay tile roof and will be able to quickly and easily apply primers and paints to keep your roof cool and looking great without causing any damage in the process. Clay tiles are made from natural materials. Nearly all of the production waste–clay, water, and glaze–can be recycled and rejected or broken tiles can be crushed and reused. 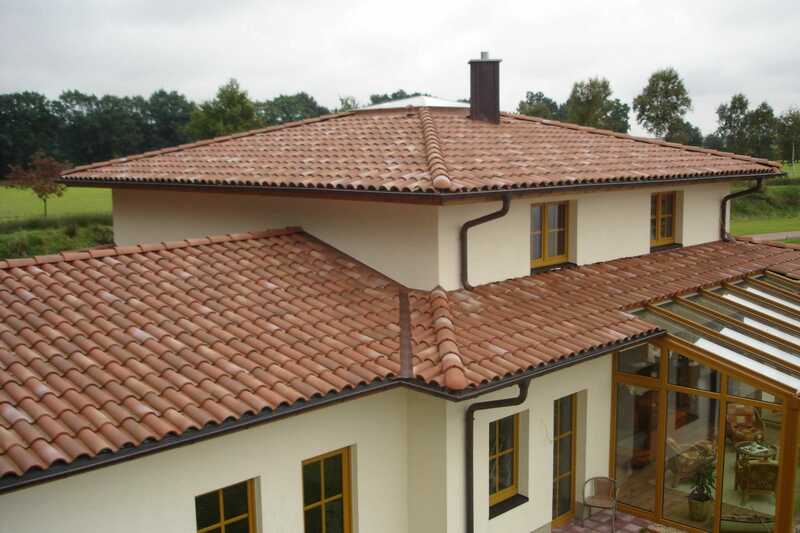 Clay tiles can increase the energy efficiency of your home. Clay tiles have natural thermal resistance from the raw materials from which they are created, and, since they are installed individually, rather than in sheets or in overlapping style, the natural airspace around the tiles creates a natural ventilation that provides a thermal barrier for heat transfer to the roof deck. This Above Sheathing Ventilation(ASV) can result in greatly reduced heat flux transfer when compared to a baseline asphalt shingle. This can assist in the movement of the peak load demands by several hours, which directly benefits those living in warm climates as well as those in cold conditions.